I just encountered the same problem that i saw on a thread in Jan 2011. 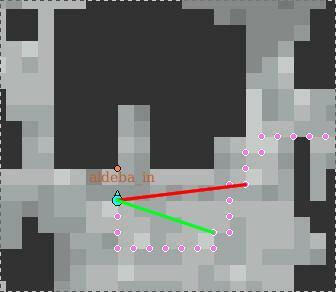 When the bot goes into alde_in to sell/buy things, it will be stuck in a loop because upon exiting the shop, it will try to go to the lockmap, but the route to the lockmap will pass the warp into the shop (alde_in), causing a loop. I saw a post with a solution whereby we can edit the aldebaran.fld with a hex editor and making the positions (199, 69)(199, 68)(199, 67) to be un-walkable (01). I have downloaded the Hex Editor and opened the aldebaran.fld but I do not know how to identify the position stated above. Can anyone help? I wish someone can help with this, problem. I've tried everything but I just can't avoid this loop in alde_in and aldebaran. I manage to get a reply from the guy who solved this, you need to use a hex editor for this. What we want is to make the positions (199, 69)(199, 68)(199, 67) to be un-walkable (01). The first 4 bytes is width and height of the map, start from the 5-th byte, each byte for a point. For example, the aldebaran.fld, the first 4 bytes is 18 01 18 01. So, the first two bytes '18 01' is the width and the second two bytes '18 01' is height. Then, the width = 0x0118 = 280, the heith = 0x0118 = 280. The offset of (199, 69) is 199 + 69 * 280 + 4 = 19523 = 0x4C43. The offset of (199, 68) is 199 + 68 * 280 + 4 = 19243 = 0x4B2B. The offset of (199, 67) is 199 + 67 * 280 + 4 = 18963 = 0x4A13. Oh yeah. He forgot to say, that you need remove any file named aldebaran. * except aldebaran.fld. So Openkore can rebuild the penalty rote map. Actually, the route is being calculated just fine (with route_avoidWalls which is default), but the route_step is so big it just skips the whole part with avoiding the nearest wall. Setting route_step to 10 solves the problem with that particular portal. Ideally, corners like these should be marked/detected and always be used as actual movement points. You can also avoid re-entering the portal with an automacro... Not ideal, but working and easy to do.